Yoga teachers who have completed 200-hour and 500-hour yoga teacher training programs along with participants in teacher training programs who have completed a minimum of 150 hours of training are welcome to apply to become HTHC volunteers. HTHC sends out monthly Volunteer Updates that contain details about new teaching opportunities. HTHC volunteers can sign up to teach classes on a one-time, quarterly, monthly, bi-weekly or weekly basis. Once volunteers have signed up online to teach a class, HTHC will share all of the details about the site and the student population (partner contact information, site address, parking and public transportation information, general summary of students, potential limitations or modifications). HTHC staff deliver yoga mats and an HTHC Class Kit to the site prior to the first class and connect the volunteer yoga teachers to the partner coordinator through email so that any additional questions from the volunteers can be answered. 1. Can I volunteer if I'm not a 200-hour or 500-hour trained yoga teacher? Yes, we accept students who have completed a minimum of 150 hours of their yoga teacher training program. We also need volunteers to help us with assisting classes, taking photos of classes, doing outreach to community partners and and fundraising. 2. I'm a yoga teacher but haven't taught yoga to people living with poverty and trauma. Am I still able to volunteer with HTHC? Yes, we understand the most yoga teachers don’t have experience teaching yoga to the special populations that HTHC serves. That’s why we offer free trainings to our active volunteers, including a Trauma-Informed Yoga workshop, taught by our 500-hour trained Lead Teachers. We also provide lots of great resources for teaching in non-studio settings along with best practices for yoga service and outreach. In addition, we connect our volunteers with the class requestor and the other teachers so that you can ask questions about the students in advance of your class. Class requestors complete our HTHC Class Info + Agreement Form with all of the details about the organization, the location, the onsite contact person, parking or public transportation options and the students. The Class Info + Agreement Form is shared with the teachers who have volunteered to provide the class. 3. 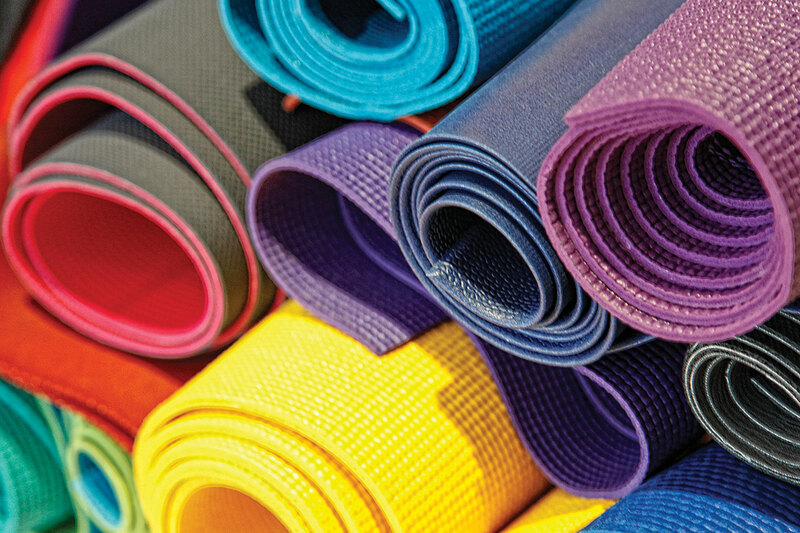 Do I have to bring yoga mats and props to the classes? 4. Do I have to commit to teaching a weekly class? No, you can choose to teach as few or as many classes as you would like. Sometimes, one volunteer chooses to teach an entire 8-week session and other times, an 8-week session is shared by 2 or more volunteers. 5. How do I find about HTHC teaching opportunities? HTHC sends a monthly Volunteer Update that includes all of the current and upcoming yoga class requests. Volunteers can sign up online for the classes they’d like to teach. 6. How do I find out about the students and the location of the classes? Once volunteers sign up to teach a class, they receive an email with the HTHC Class Info Form that has been completed by the partner. The Class Info Form contains all of the details about the location (along with parking + MBTA info), onsite contact person and student population. The volunteers are also connected by email to the partner staff person who is coordinating the class series in case they have any additional questions. We’re a volunteer organization so we depend on the compassion and generosity of local yoga teachers. Our program fees help to subsidize the cost of our yoga props and the contents of HTHC Class Kits. We’re always looking for fundraising ideas and connections so please pass along any suggestions!